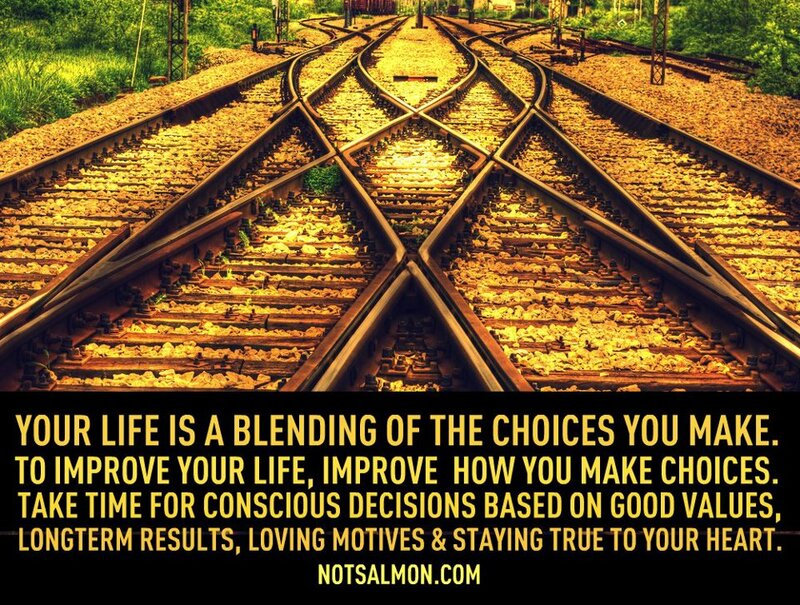 The decisions we make shape our lives. Tony Robbins said that…and it is amazing just how powerful a decision is. Decisions we make, good or bad, can change our direction so profoundly as to change our lives drastically. The person who makes a spur of the moment bad decision may cause consequences that last years or a lifetime. A sudden decision to grab an unexpected opportunity can change our lives for the better. The power of the decision is in the reason and the judgement behind the decision. If your decisions are always meeting with regretful consequences, then there are lessons to be learned that you are not paying attention to. Perhaps the lesson lies in your lack of ability to think clearly or the motivation behind your decision making. Do the right thing. If you’re late to an appointment because you stopped to help someone, so what! You can live with being late. Think smart. Stupid decisions render stupid results…enough said. Do what is in everyone’s best interest. Ultimately you have to live with the way you treat people (including yourself) above all else. Practice unselfishness. Practice kindness. Life is not all about you. Selfishness is a motivation to do the wrong thing, instant gratification, and lack of values. There is more joy and love that comes from helping others and giving than anything that comes from selfishness.